FS2004 Korean Air Boeing 787-9 V2. 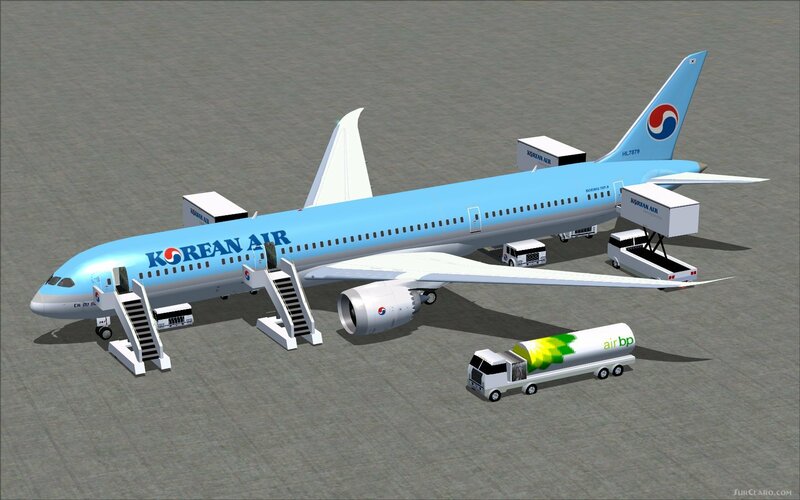 Versions 2 includes aircraft design improvements plus updated animations. 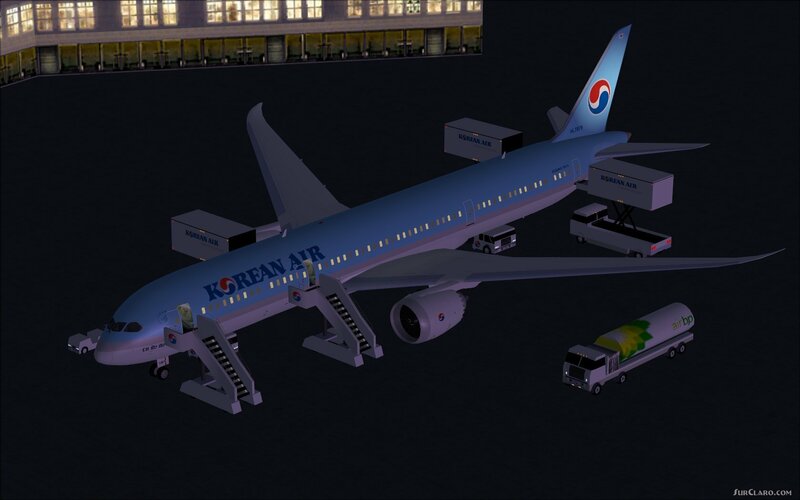 This CamSim Version 2 is also includes three aircraft with different Animated Ground Servicing (AGS). Model design and paint by Camil Valiquette.